Officers with their Certificates of Completion after ceremony to mark succesful completion of SWAT and VIP protection training course. 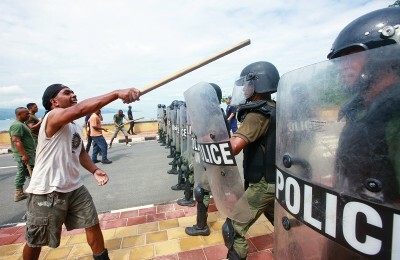 What is the Training for Peace Programme? The Training for Peace (TfP) Programme is an international capacity-building programme funded by the Norwegian Ministry of Foreign Affairs. 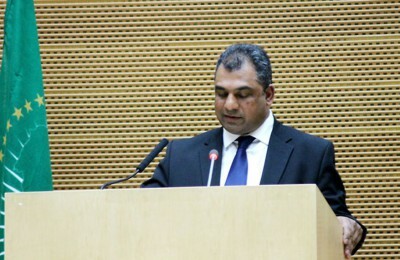 Its strategic goal is to build sustainable African capacity for peace operations in the United Nations (UN), African Union (AU) and African regional economic communities/regional mechanisms (RECs/RMs). The programme seeks to contribute to this goal in two ways: through the development of competent peacekeeping personnel, and by supporting the strengthening of organisational systems in the UN, AU and RECs/RMs. To achieve the first objective, TfP partners provide contextual and high-quality training, as well as contribute to the development and strengthening of well-functioning recruitment and roster systems. 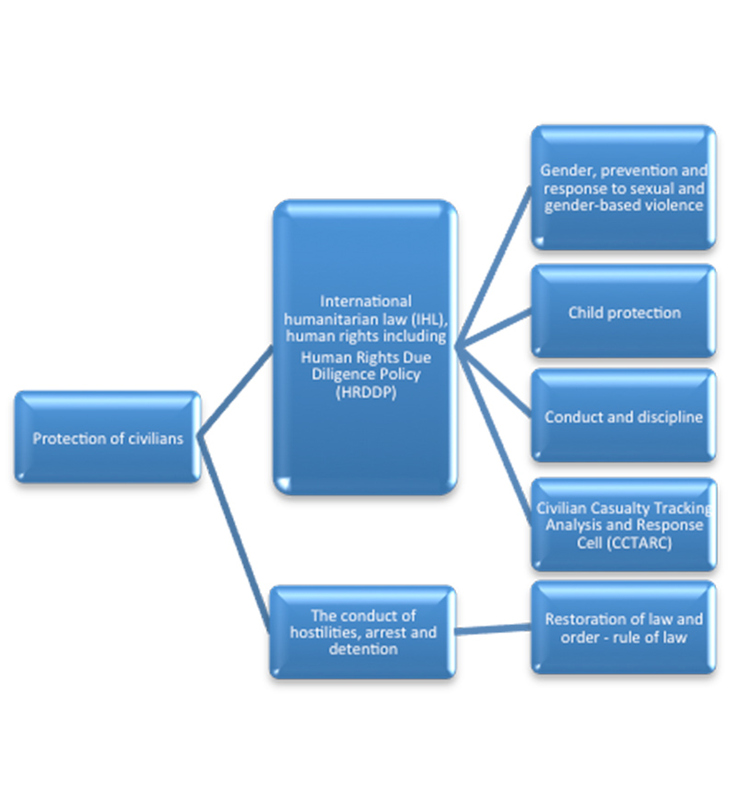 The second objective is achieved through supporting the development of appropriate policy frameworks utilised by the stakeholders in peace operations, as well as carrying out relevant and high-quality research. The TfP Programme’s training methodology has evolved over the years in response to the changing needs of peace missions on the continent, as well as in response to recommendations from external evaluations that sought to increase the impact of training. This evolution came about from conducting once-off trainings to engaging in training processes based on tailor-made in-mission courses, pre-deployment or induction courses and other specialised training courses. The courses – delivered through a combination of lectures, case studies, group discussions and exercises, presentations, visual aids, role-playing and debates – provide for a collaborative approach to learning. 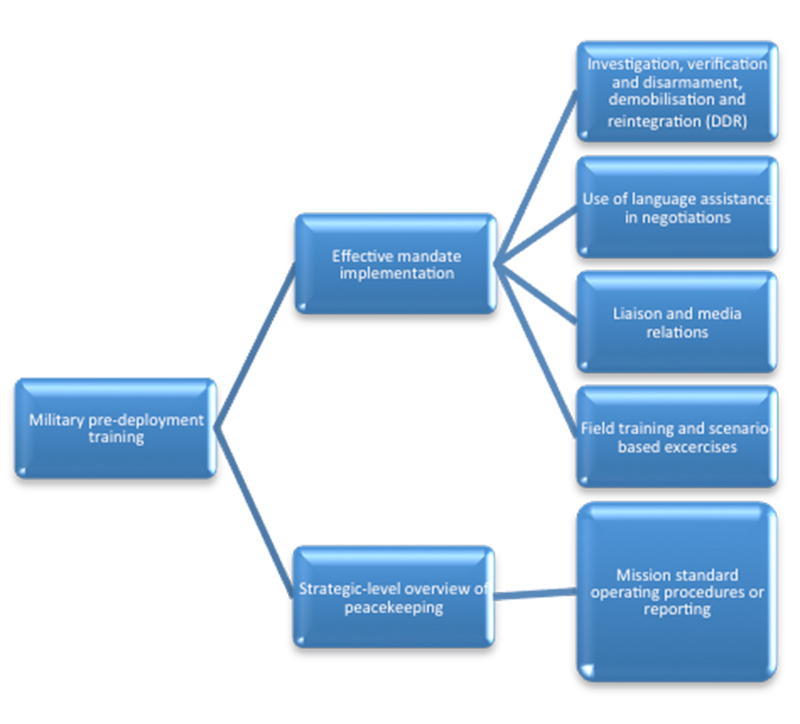 The programme’s training methodology is undertaken in the following generic sequence, which seeks to target the specific needs of civilian, military and police personnel at the operational level of peace operations.1 This process varies slightly from partner to partner. The TfP Programme’s use of training needs assessments and research informs the various courses it conducts. 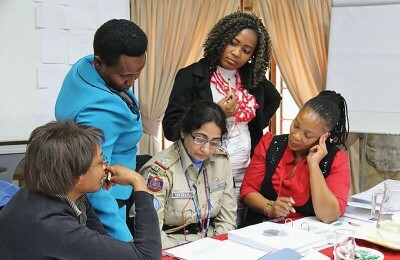 The training process illustrated above, which focuses on a results-based approach, engages the programme to be more responsive to the needs of AU and UN missions in shaping training in Africa. 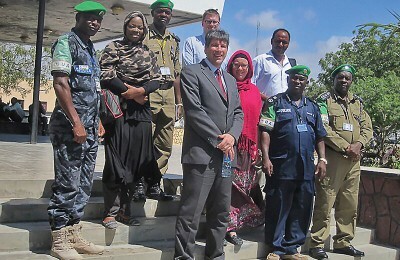 The TfP Programme contributes to discussions on lessons learned and best practices for the harmonisation and standardisation of multidimensional training for peace operations in Africa, pioneered by the African Peace Support Trainers Association (APSTA), and works closely with the AU to achieve this. 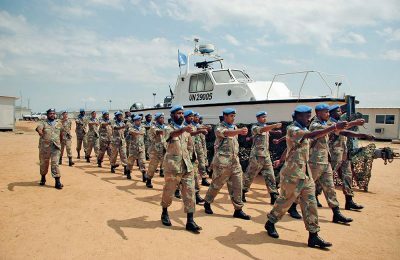 The pre-deployment and in-mission training processes are very effective in preparing competent peacekeeping personnel in the required and relevant knowledge needed to carry out their roles and functions in several thematic or cross-cutting issues in the mission. Training conducted by the TfP Programme is based on key thematic areas. These include conflict-related sexual violence, gender in peace support operations (PSOs), protection of civilians (PoC) and conflict management. The training comprises pre-deployment training, in-mission training, specialised training, field training and scenario-based exercises, and the training of trainers. 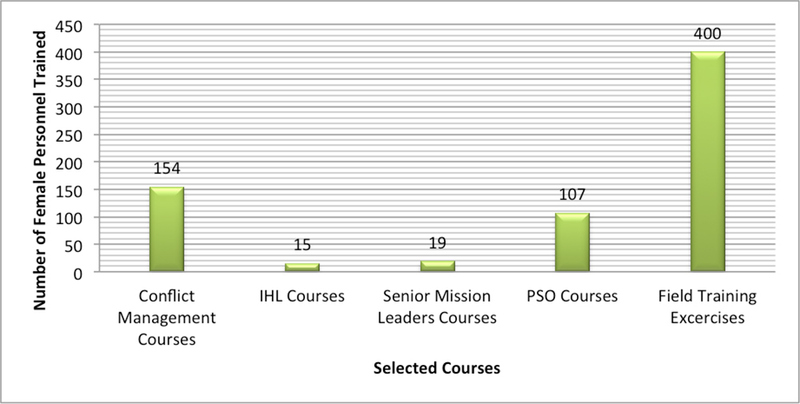 TfP training courses have built capacity in the following areas. TfP (2012) TfP Consolidated Annual Progress Report for the Training for Peace Programme, p. 14. Norad (2014) ‘Building Blocks for Peace: An Evaluation of the Training for Peace In Africa Programme’, pp. 37–44, Available at: <http://www.norad.no/globalassets/import-2162015-80434-am/www.norad.no-ny/filarkiv/evalueringsavdelingens-filer/building-blocks-for-peace–an-evaluation-of-the-training-for-peace-in-africa-programme.pdf> [Accessed 22 April 2014]; and TfP/ACCORD (2012) Consolidated Training Statistics. The statistics for police personnel were obtained by calculating the total number of police personnel trained on the Training of Trainers, Pre-deployment and Special courses from the Norad evaluation report, as well as the ISS and POD 2014 Annual Progress Report, pp. 1–20. 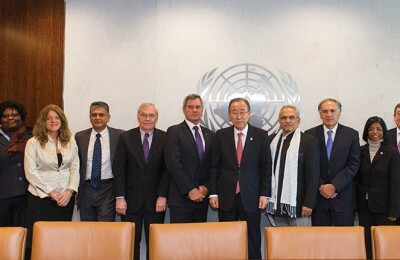 TfP/ACCORD (2012) Consolidated statistics document. 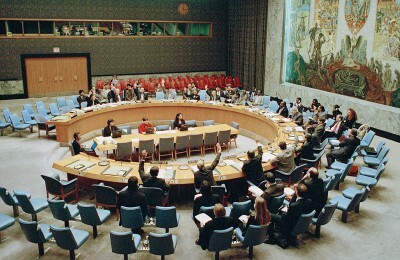 UNSCR 1325 is a landmark international legal framework that addresses not only the inordinate impact of war on women, but also the pivotal role women should and do play in conflict management, conflict resolution and sustainable peace. All gender statistics were obtained from partner institutions and Norad Report 2015, p. 34. Cf. Bjørn Ternstrøm et al. 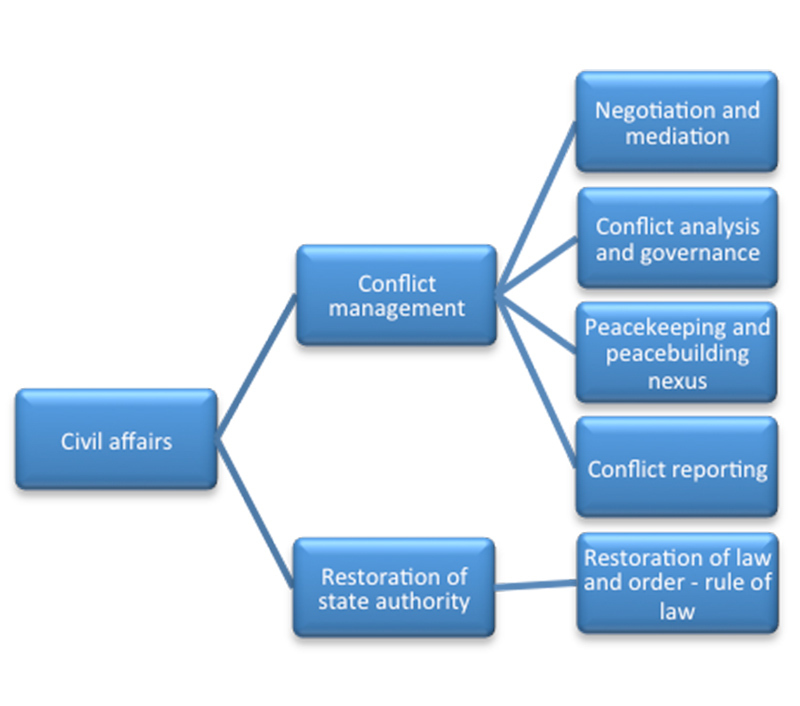 (2013) Mid-term Review of Norwegian Cooperation with ACCORD, Ternstrom Consulting AB (unpublished). 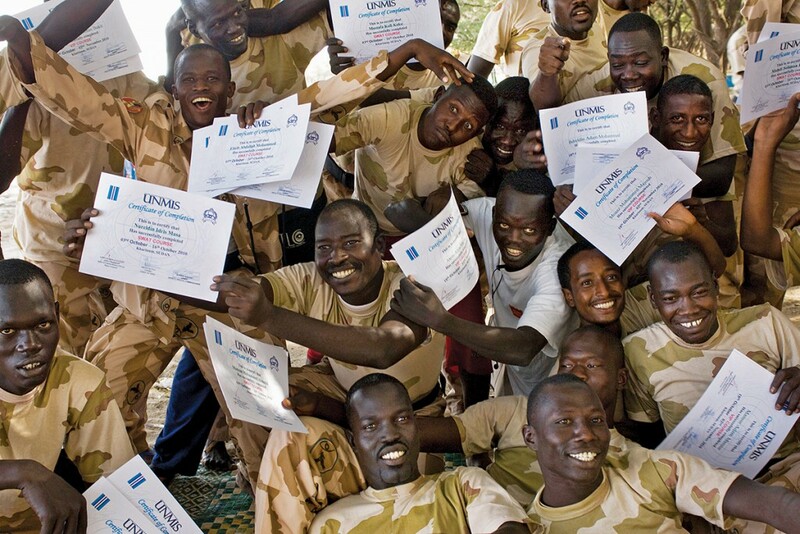 Evaluation of UNMISS Conflict Management Training Package, November 2013 (unpublished). 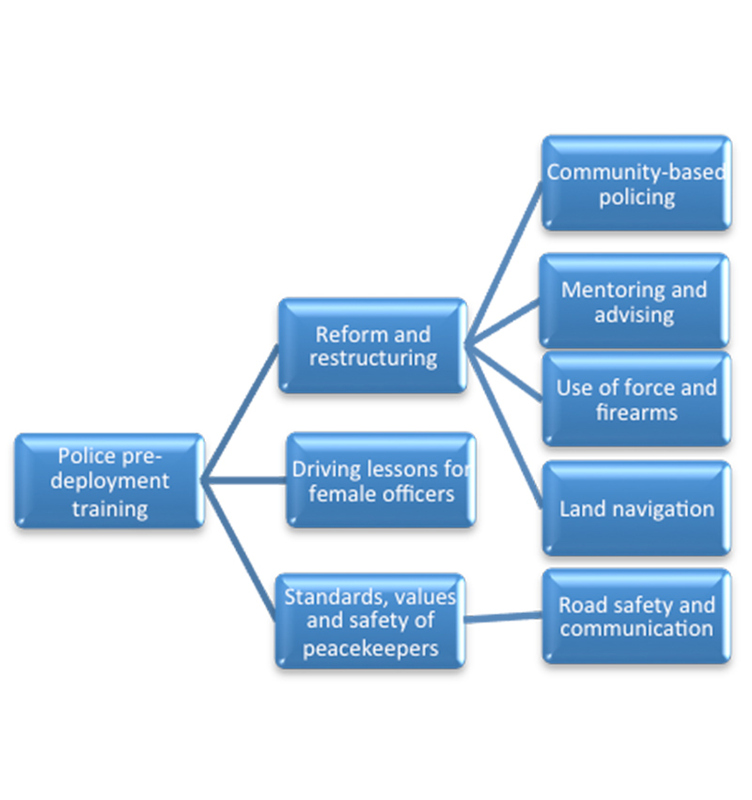 TfP (2013) ‘Review of the Training for Peace in Africa (TfP) Police Dimension, 1995–2012’, p. 33, Available at: <http://www.norway.org.za/PageFiles/651710/TfP%20Police%20Dimension%20Final%20Report_Final.pdf> [Accessed 22 April 2015]. Norad (2014) op. cit., p. 34. TfP (n.d.) Consolidated Annual Progress Report 2012 (unpublished).